All About That Piña Life! While the warm weather sticks around, outdoor entertaining is still in full effect. 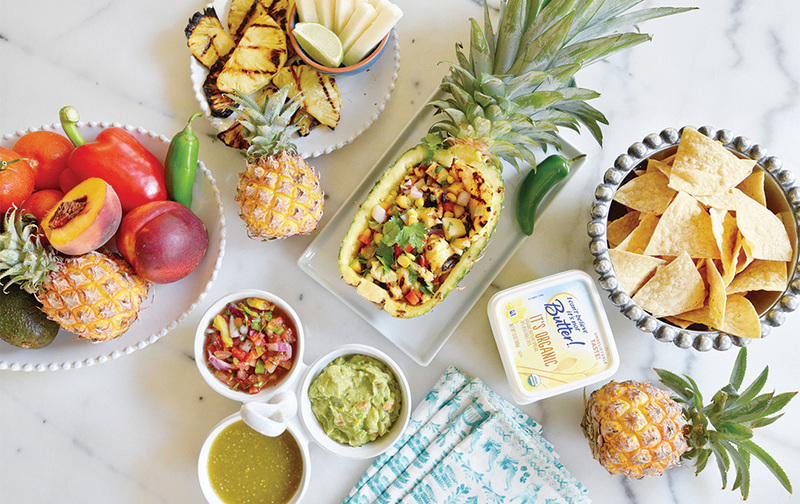 There is no better ingredient to get creative with and savor when entertaining friends than iconic pineapple! After all, the pineapple is the crowned fruit that represents hospitality, which is the ultimate welcome and friendship gesture. It’s also delicious! As you welcome people into your home for any kind of get-together, having a top-notch spread is essential. While it doesn’t have to be fancy, chips and salsa go a long way, especially when you step up your salsa game. 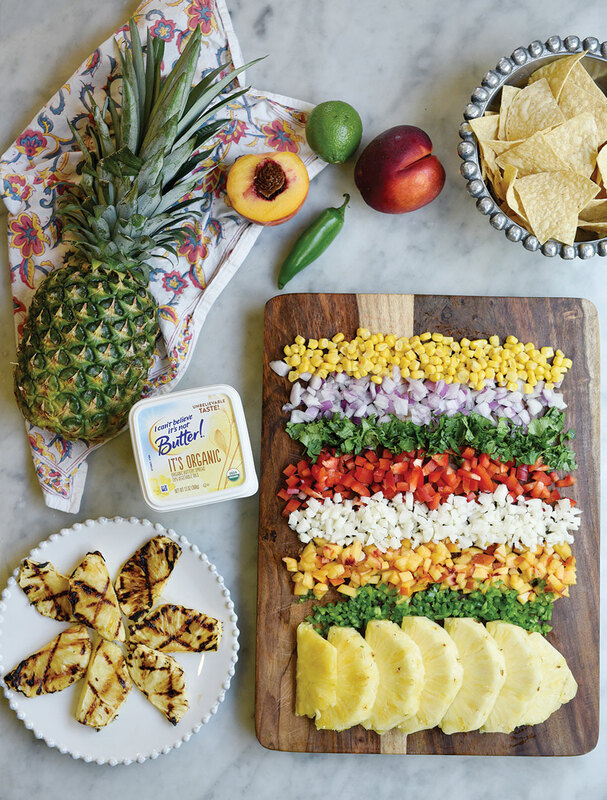 We partnered with I Can’t Believe It’s Not Butter!, to help us create a next-level grilled pineapple salsa that is so delicious (and totally eye-catching). The new buttery spread, It’s Organic is the perfect ingredient to step up any recipe in the kitchen, helping you to enhance just about anything you’re cooking up. 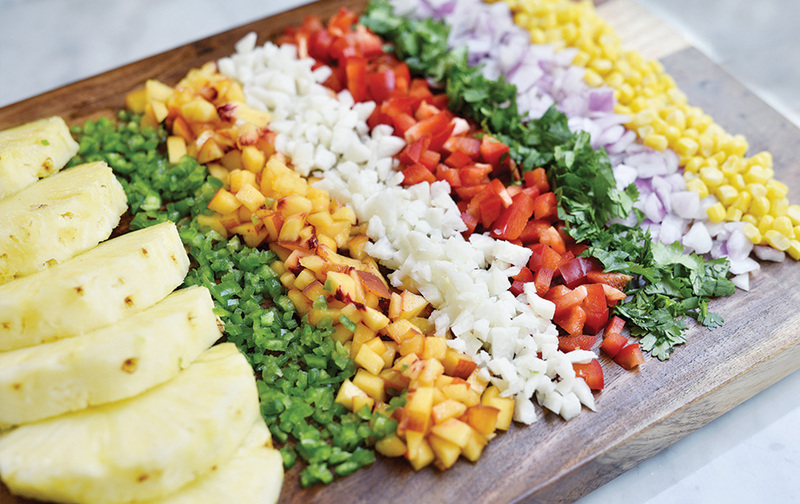 For our grilled pineapple salsa you are going to need one whole ripe pineapple, I Can’t Believe It’s Not Butter! It’s Organic, chopped corn, red onion, cilantro, red pepper, jicama, peaches, and jalapeño. You’ll also need a good knife for chopping and a grill brush as well! 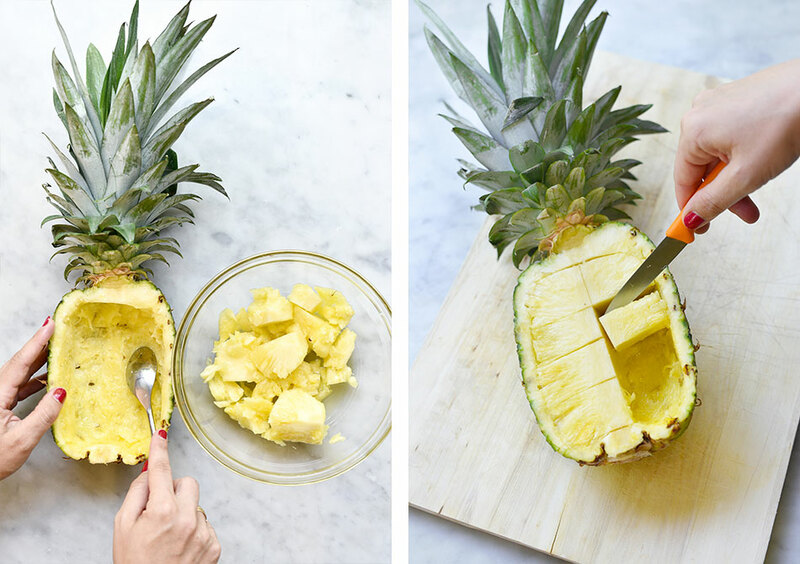 After you slice your pineapple in half, use a sharp knife to score the inside and edge. This will help the pieces pop out very easily. Using a spoon to scrape the extra fruit is key as this side of the pineapple will become your serving vessel. 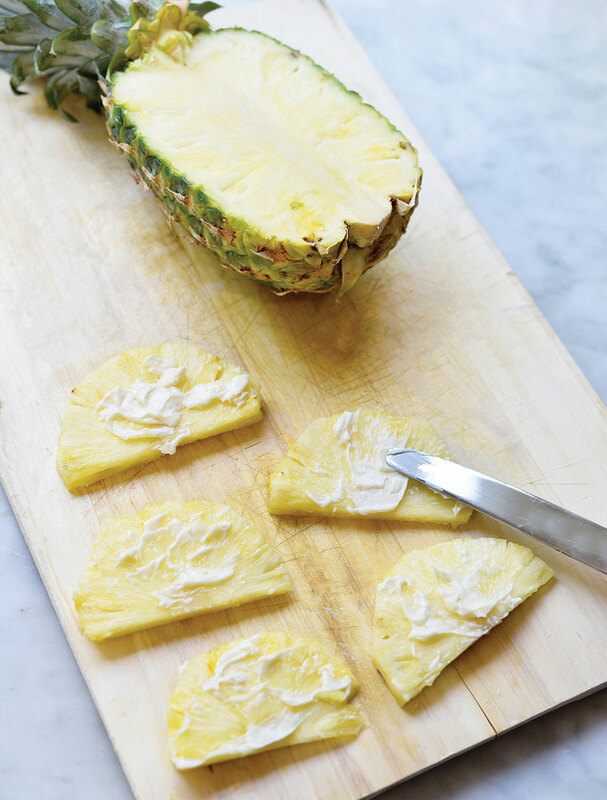 The other half of your pineapple will be cut into slices for grilling! 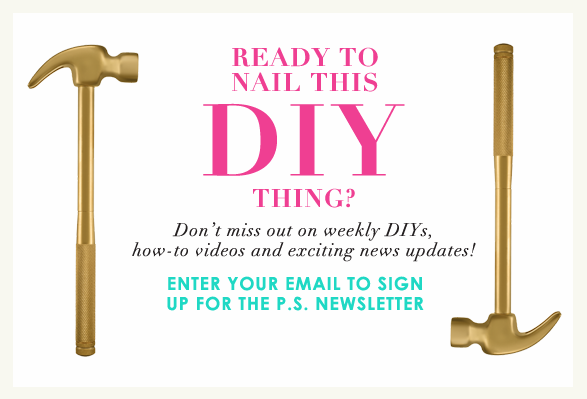 P.S.- How pretty do these colors look together? 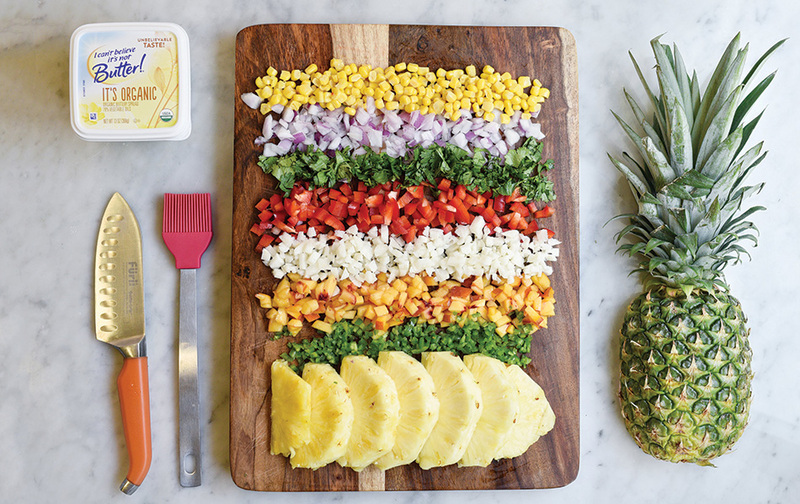 Before you hit the grill, be sure to spread a layer of the buttery spread, It’s Organic, onto the pineapple. 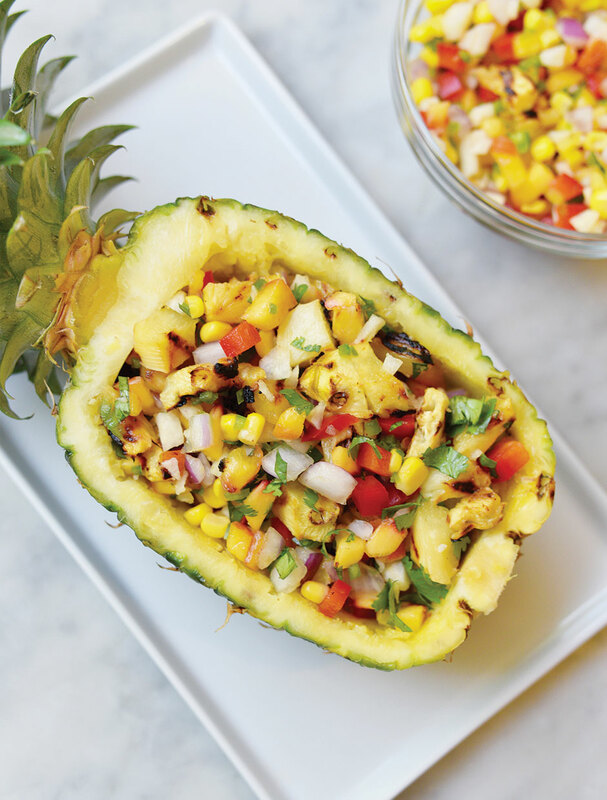 This is going to not only keep the pineapple from sticking to your grill, but it’s going to help enhance the sweet flavor and bring out a richer taste after it’s been grilled. 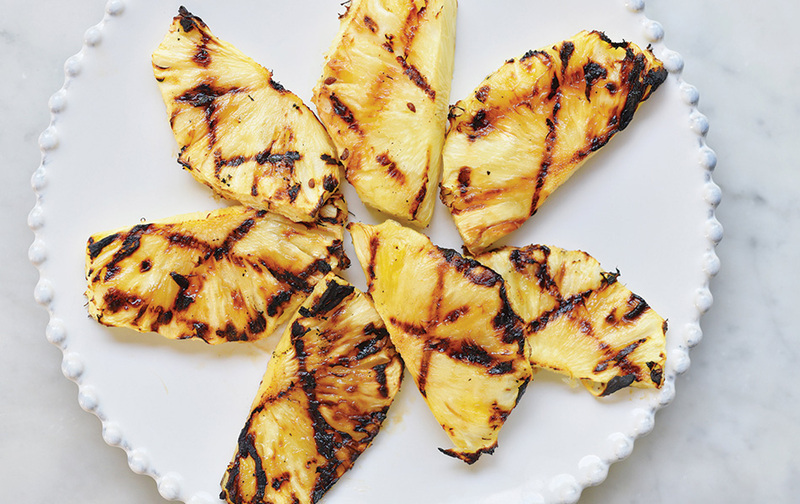 Be sure to flip the pineapple pieces over, so both sides have been grilled evenly. Now, it’s ready to be diced for the salsa. Make sure the ingredients are mixed evenly before scooping into the pineapple bowl. You want to have all of the fresh fruits and veggies incorporated into each perfect bite! P.S.- Feel free to add a dash of sea salt if you want to help bring out the flavors a touch. 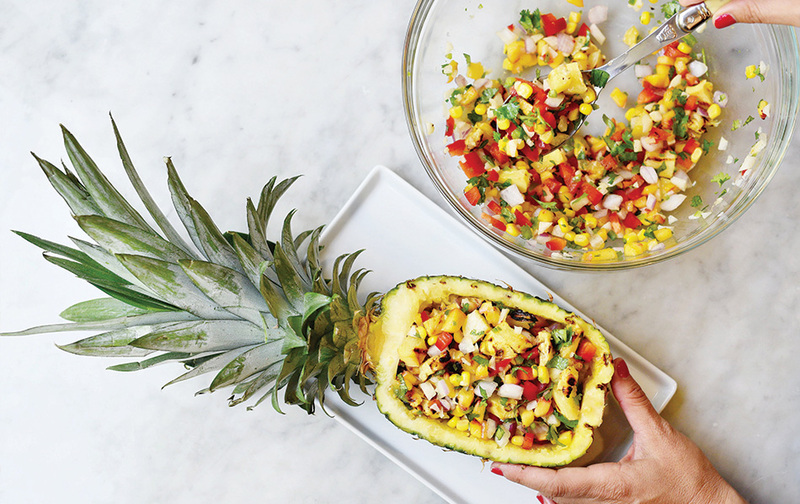 The presentation is just as important as the recipe and what better way to showcase the fresh ingredients in a fun and creative way than by serving it inside the pineapple bowl. 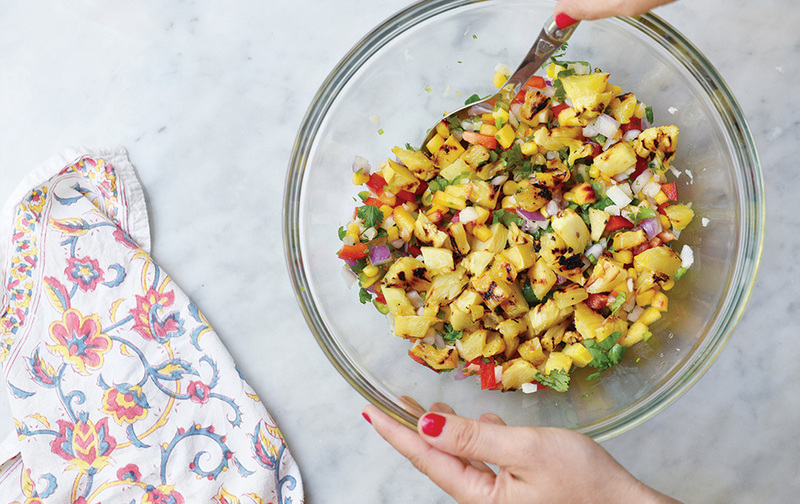 You are going to want to create this over-the-top and easy to make dish anytime you entertain. Be sure to reach for ripe, in-season fruits and vegetables, as they will always taste so much better in your salsa, and just about anything you create with them!